theres a doubt that the worm harness is the best way to fish for walleye. But sometimes lures are the better way to approach walleye while fishing. this last summer i found that walleye are usually higher up (suspended) in late summer. Therefore lures can be more effective. Lures are also effective throughout the year. Did you know that walleyes are in the perch family? Well that is usually there favourite pray for Summer,Fall and Winter. in spring they mostly feed on mayfly larvae.they also feed on shiners and other small fish. 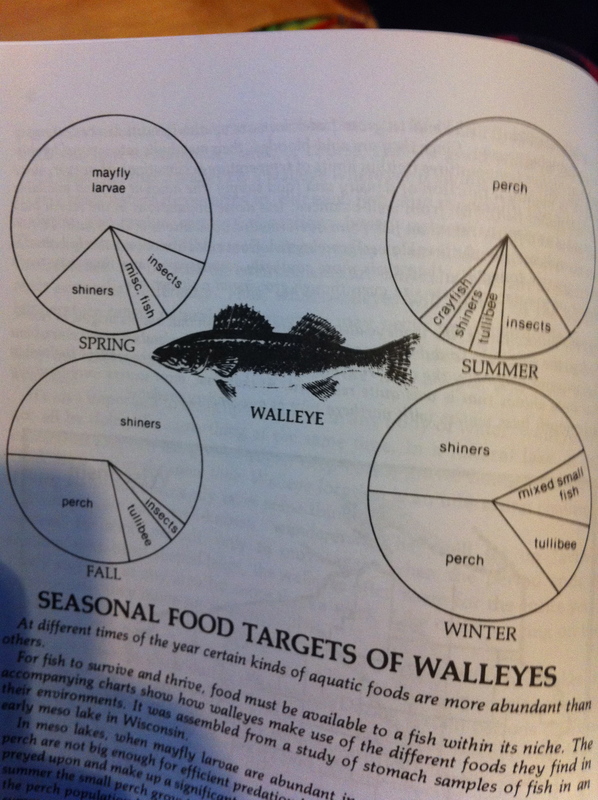 The following is what walleye feed on In different seasons of the year. Spring- Mayfly Larvea, Insects, shinners. Winter- Shinners,Perch,mixed small fish, tullibee. Whatever the case you will have luck with perch and skinners year round. There are some very nice perch lures on the market. The most realistic perch lure i have seen is the koppers live target lure. The other lures that i have used are both Rapela. One is a x-rap and the other the new clacken rap minnow.